With the increasing human population the needs for the people also increases. But the point of concern is that are there enough natural resources to service all your needs. What if these resources finish, this is one thing we need to ponder upon. We need to start recycling waste to converse our natural resources. Recycling is one of the best ways for you to have a positive impact on the world in which we live. Recycling is important to both the natural environment and us. We must act fast as the amount of waste we create is increasing all the time. • It conserves raw materials– Making new products out of recycled materials reduces the need to consume precious resources. So recycling helps protect raw materials and protect natural habitats for future generations. • It saves energy– Using recycled materials in the manufacturing process uses considerably less energy than that required for producing new products from raw materials. • It helps protect the environment– Recycling reduces the need for extracting (mining, quarrying and logging), refining and processing raw materials all of which create substantial air and water pollution. As recycling saves energy, it also reduces greenhouse gas emissions, which helps to tackle climate change. • It reduces landfill– By recycling people can prevent millions of tons of material from entering landfillssaving space for garbage that cannot be re-purposed. Landfills not only pollute the environment but also hamper the beauty of the city. • Glass– Grass cycling, the natural recycling of grass by leaving clippings on the lawn when mowing, allows cut grass to quickly decompose, returning valuable nutrients to the soil. • Metal– Metals that we use in our everyday life are often times recyclable. Such as Aluminum foil, Aluminum cans and Steel & tin cans. Being a very versatile material, recycling metal takes more than seventy percent less energy than it does to produce a completely new item. • Electronics: – E-waste is the popular, informal name for electronic products like computers, televisions, DVD players, stereos, copiers, cell phones, and fax machines nearing the end of their “useful life.” E-waste is a significant component of California’s waste stream but many of these products can be reused, refurbished, or recycled. Don’t forget your used ink and toner can be recycling as well. • Buy Recycled Products –Collecting materials for recycling is only the first step. 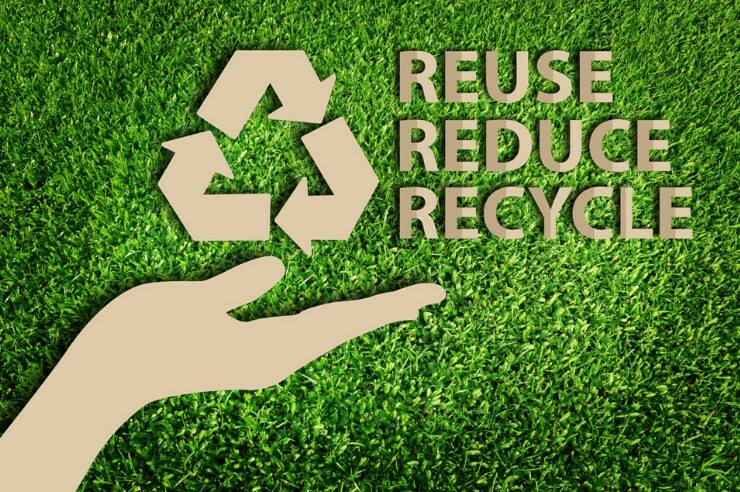 Successful recycling also depends on manufacturers that make products from recovered materials and, in turn, consumers purchasing products made of recycled materials. You can help to “close the loop” by purchasing products made of recycled materials whenever possible.